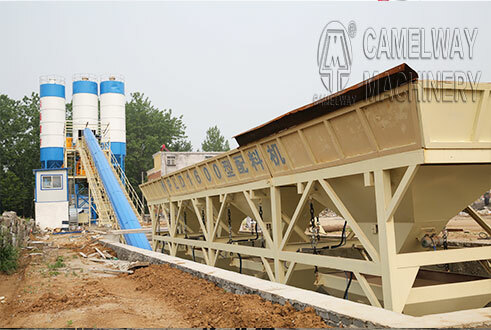 With 60m3/h theoretical productivity, CamelWay HZS60 is highly used in the industrial and civil engineering projects. JS1000 twin horizontal shafts compulsory mixer and PLD1600 batching machine are adopted in HZS60. All mixer and batcher/weighing systems are built by manganese steel, formed in all CamelWay own metal processing workshops. 9、Registered ISO, SGS and China’s famous brand.